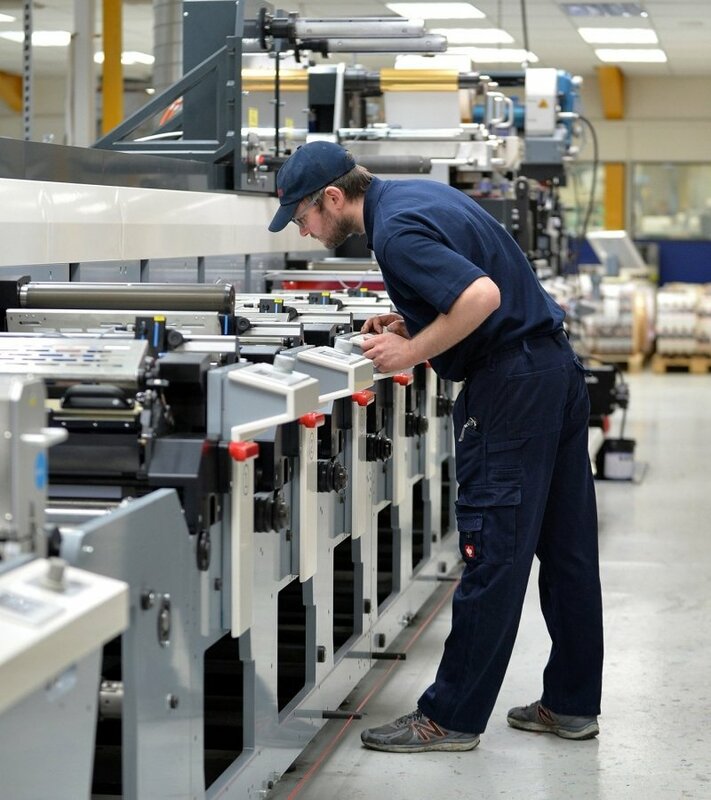 For larger contractual print runs, our uv flexo presses provide economical, high quality and high capacity manufacturing, delivering the flexibility to ensure we meet customer lead times. Printed in up to 10 colours, our vibrant, multicolour labels can be decorated using a comprehensive range of hot or cold foils, embossed, over laminated, screen printed in up to two colours and varnished with glitter, pearlescent, tactile, ultra-high gloss or super matt finishes for truly eye-catching, stand out results. Multiply Peel and Read labels with up to 3 printed pages can be supplied, and the use of ‘Pantone Live’ ensures we accurately colour match our labels to other packaging within a range. This seamless process is compliant with rigorous ISO & BRC quality assured standards, with full on-line checks taking place and 100% video inspection prior to despatch.